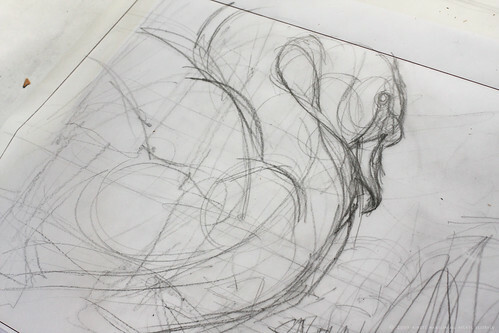 pencil on tracing paper sketch detail from the last spread of the book. still got a long way to go. My reference is from a bunch of photos I shot at the Round Pond in Kensington Gardens a few years ago. 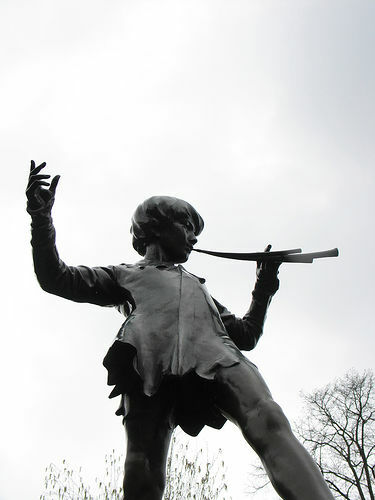 In addition to the swans, Kensington Gardens is also home to Peter Pan.